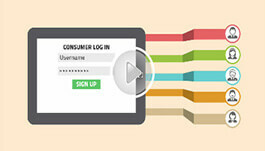 There are many reasons why your eCommerce activities require an explainer video. As you definitely know, every innovative idea deserves to be explained clearly and sharply. You don't want to do the video wrong; after 7 seconds most video viewers give up. If you have a video on your site people will stick around a while longer; it might be all they wanted to contact you for whatever product you're offering. Through a perfectly done explainer video, any visitor will get a better picture of your eCommerce ventures and why they are important. Animated explainer videos are very powerful in explaining the most complex of ideas or even something fresh like a new eCommerce venture. People don’t like long articles and want them to make sense immediately considering their attention span is very low. There lots of long texts to grapple with on a daily basis and there's a huge chance they will ignore yours. You can give them something short, visually inspiring and eye opening through explainer videos where ‘how a product or service works’ is well explained. A well made explainer video for eCommerce purposes is one of the best ways of availing critical information for potential users onto a website. In the process you’ll attract as many site visitors as you can improving your SEO purposes. Right from the beginning you must be very clear about your goals. A video on your eCommerce site can help you do this perfectly. 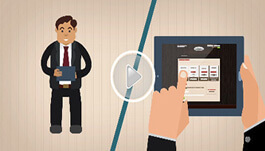 Animated explainer videos for instance can help you specify certain unique features about your business enhancing the shopping experience of any visitor. The last thing you want is a video that doesn't really tell your customers about the product or service. It must be content rich enough with motion graphics capable of supporting every area of your project whether it's put on DVD or streamed online. If you use a video creation service, ensure your expectations are exceeded first by taking a peek at their portfolio and the diverse companies they have covered. 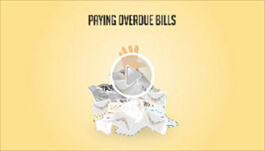 Every explainer video must create some sort of buzz among those who watch it. It's all about working together with animated explainer video content professionals to make sure the script is not just great, but clear with key points expressed in a proper manner. With a good script and message the artwork will come together seamlessly and the eCommerce explainer video you desire will be exactly as you wanted. 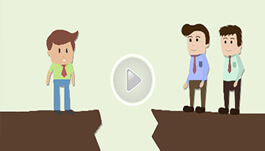 Remember a laser focused explainer video will give clear answers to every question the viewer might have. It's important that what your eCommerce company offers is clearly projected in just a few seconds. Even if it's a teaser video it should make every viewer know more about the eCommerce site, what is being offered and what to expect in the shortest time possible. For example, a software vendor can use an explainer video to clearly explain how the company will help prospects meet their needs. Humor can be injected sparingly, which if well executed becomes a hit with any viewer.